Every year, we schedule a visit to the doctor for general check-up, and also to the dentist for our bi-annual prophylaxis. Since my kids were toddlers, we do this as a family in the hopes that when they grow up, they'll learn the importance of maintaining overall health and wellness. Even in their bedtime prayers, we always include asking God to bless us with good health. But when you think about it, oral care is often overlooked and usually not considered part of overall health planning. Minsan once a year lang ang cleaning, or totally nakakalimutan talaga. I know so many people who are like this, which leads me to believe that Filipinos, in general, lack awareness on oral care. Filipinos are known for their smiles -- the smiling nation ang Pilipinas, that's how we show our warm hospitality and resilience even in hard times. But behind the smile should be genuine confidence with having good oral health. I say, start them young. Form a habit of good oral hygiene, and the first step is learning how to brush your teeth properly. Following these basic steps will help minimize the risk of tooth decay and gum disease, which are the major causes of tooth loss. 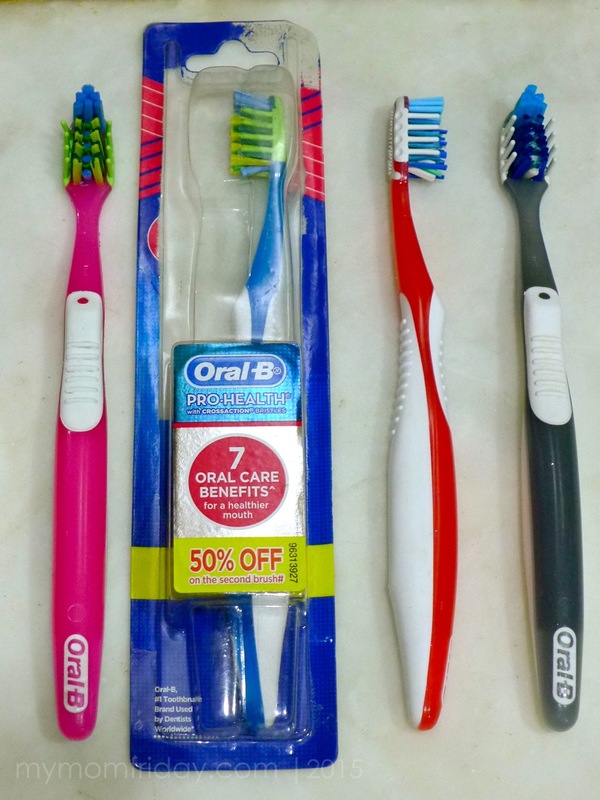 When the kids were a bit younger, I asked them to choose their own toothbrush (from a limited choice I pre-selected) so they will be motivated to brush their teeth. It worked so far. Around late summer, while at the supermarket, the boy and the girl was curiously comparing the different kinds of toothbrushes displayed. I did not tell them to buy but I was pleasantly surprised that they were reading the features and benefits printed on the packaging! We already have the Oral-B electronic oscillating toothbrush with replaceable heads. But they said they wanted to try a new toothbrush and choose their own. Ok, fine. 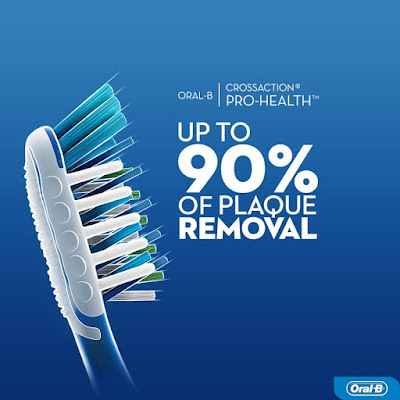 Look at their final pick -- the Oral B Pro-Health Cross Action toothbrush. I swear, I did not tell them what to get, nor give my opinion on what to look for. 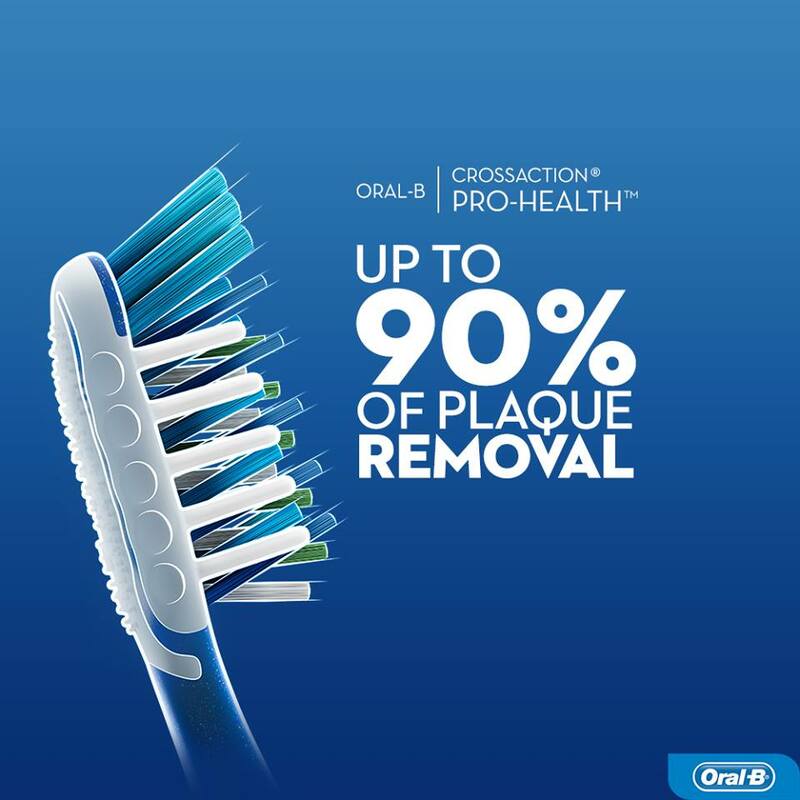 Naturally, I was happy that Oral-B chose to sponsor my blog. We really have been long-time users of the brand. 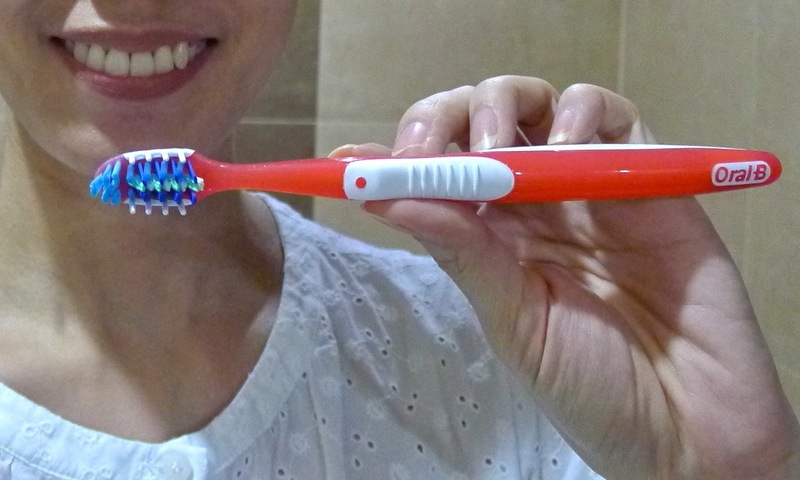 It is recommended to replace your toothbrush every three months. Our current Oral-B toothbrush: Pink for the girl, blue for the boy, red for me, charcoal for J. When I was still working in advertising, one of my clients was in the oral health industry. One of the most important things I learned from them is that it's not about the toothpaste or oral care products we use, but how we brush our teeth properly -- that's the key to having healthy teeth and gums. Expensive toothpaste is useless if you don't know how to brush right, and part of brushing properly is choosing the right toothbrush for you. Believe me, it makes all the difference in cleaning efficiency. 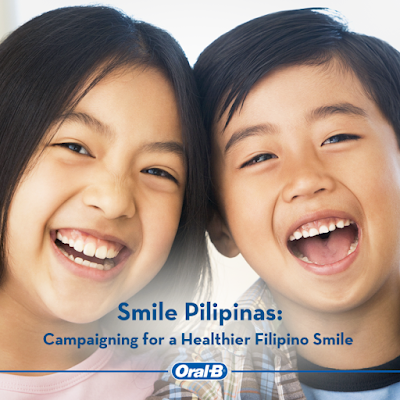 Let's raise kids that value oral health so we can all have healthy smiles. Let's #SmilePilipinas!